A year ago Auburn and Mississippi State waged one of the ugliest college football games in the history of the sport. Auburn prevailed 3-2 on the strength of a 35-yard Wes Byrum field goal in the second quarter. It was Chris Todd’s first full game as the starter after sharing duties with Kodi Burns, and Todd was serviceable, hitting 15 of 26 passes for 154 yards. Ben Tate topped the century mark, rushing for 102 yards. But the Tigers couldn’t score. While Byrum hit the second quarter field goal, he also missed an 18-yard attempt and flubbed a 38-yarder. Numerous Auburn drives withered on the vine, the victim of poor play-calling and shoddy execution. Auburn was a miserable three of 16 on third down conversions. Only two drives consisted of eight plays; nine covered five or fewer. The Tigers’ last two offensive possessions ended in fumbles. Everything about Auburn’s offensive effort looked out of sync. The only consolation was that for all Auburn’s offensive woes, the Tiger defense was devastatingly effective. Mississippi State did not convert a single third down the entire game. The Bulldogs’ most effective possession covered 22 yards in five plays and ended in a punt. MSU punted an astounding 10 times. When the Bulldogs recovered a Todd fumble at the Tiger 32, the defense held. MSU made it to the Tiger 21 and then failed to convert a field goal opportunity. That’s one primary reason why Auburn will beat Mississippi State on Saturday. The Tiger defense has traditionally handled whatever Mississippi State has thrown at it. Since 2001, the Bulldogs have scored a grand total of 76 points against the Tigers. MSU managed a mere 22 over the last four years. In the last nine meetings, MSU is 2-7 against Auburn. The Tiger defense should be able to control the offensive schemes of new Bulldog head coach Dan Mullen, who will learn that life in the SEC is a little tougher when you don’t have Tim Tebow running the show. Mullen’s Bulldogs will still be extremely dangerous, particularly with Chris Relf calling the shots. After MSU’s mediocre first half in the season opener under starter Tyson Lee, Relf came on and led the Bulldogs to scores on five of six second half possessions. The 6’3″, 230-lb. redshirt sophomore may have wrangled the starting job away from Lee, who opened against Jackson State on Saturday but left in the second quarter and did not return to action. The Bulldogs looked quicker and more polished against Jackson State than they did all last season, but Jackson State isn’t exactly SEC caliber. In a head-to-head matchup, the edge goes to the Auburn defense. Auburn’s front four should control the line of scrimmage, and that will take pressure off the greener secondary. The question for the Tigers is whether Auburn’s emerging offensive firepower can overcome the Bulldog defense. Take away the last two stunted seasons, where Auburn would have had difficulty putting points on the board against a team of junior high cheerleaders, and Auburn averages close to 30 points per game since 2001. Over the last four years, while State cobbled together just 22 (19 of that coming in a 19-14 win in 2007), Auburn posted 79 points. Auburn’s offense under new coordinator Gus Malzahn showed signs of evolving last week against Louisiana Tech. The Tigers played with much greater confidence and poise. The infusion of speed from SEC Freshman of the Week Onterio McCalebb adds a new dimension to the Tiger backfield. Byrum seems to have rectified the yips that plagued his sophomore season and kicked the ball with greater authority. Mississippi State’s defense won’t hold Auburn to three points again, and that bodes well for the Tigers. They’ll likely be better on offense under Mullen, but the down side for the Bulldogs is that Auburn should be significantly improved under Malzhan. 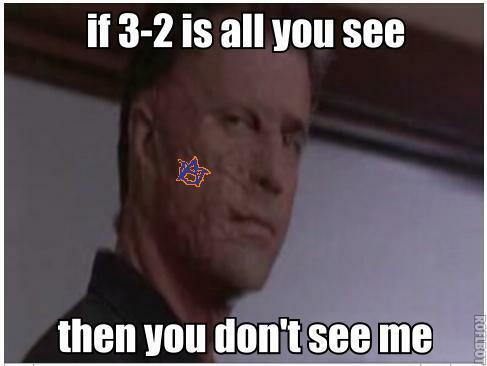 Auburn is probably two touchdowns a game better on offense than they were at this point last season. With the Tiger defense holding State in check, that boosted confidence and production will be more than enough. Add to the mix last Saturday’s intangibles and the tale told is of the Bulldogs’ demise. When Mississippi State took the field against Jackson State, the team performed a choreographed dance routine that included more moves than a Lady Gaga video. The pre-game dance ended with players jumping in unison and barking. One word came to mind as the spectacle unfolded: undisciplined. The Bulldogs were just that. Mississippi State committed a dozen penalties that cost them 152 yards. The Bulldogs put the ball on the ground four times, losing two. Kicker Sean Brauchle missed two very makeable field goals, one from 38 yards and another from 37. Those are the kinds of things that will get you killed in the SEC. Auburn faced a tougher opponent than Mississippi State did in week one and showed greater poise in completing its assignments. At home, under the lights, that gives the Tigers more than enough of an advantage. The Tigers should pull away down the stretch and give Gene Chizik his first SEC win and a realistic shot at opening his Auburn tenure 4-0. Kevin Strickland serves as the sports editor for the Pickens County Herald, a weekly newspaper in West Alabama where he has covered high school and college sports for the past 15 years. In his career as a sportswriter, he has covered 12 state championship teams; followed the careers of three local football players who starred at college and played in the NFL and covered two local baseball players who played in the majors. He has won numerous Alabama Press Association writing awards including being named the state’s Best Sports Column in 2004.